We rely on our cars every day to get us where we need to be. This, of course, includes everything from the long commute to work to simply running errands around town. That’s why you want to make sure that your car is running properly. No one has time for a leaky transmission. If your car is leaking transmission fluid, it can cost you a lot of time, money and heartache. One of the main causes of transmission leaks is a cracked pan gasket. When there is some kind of fray in the gasket, you’ll need to replace it, as the fluid inside will continue to seep out. This cause is easy to fix. All you’ll need to do is purchase a new gasket (which is relatively inexpensive). Also, make sure the bolts in the pan are tightened enough. If they’re not, this could result in a leak. 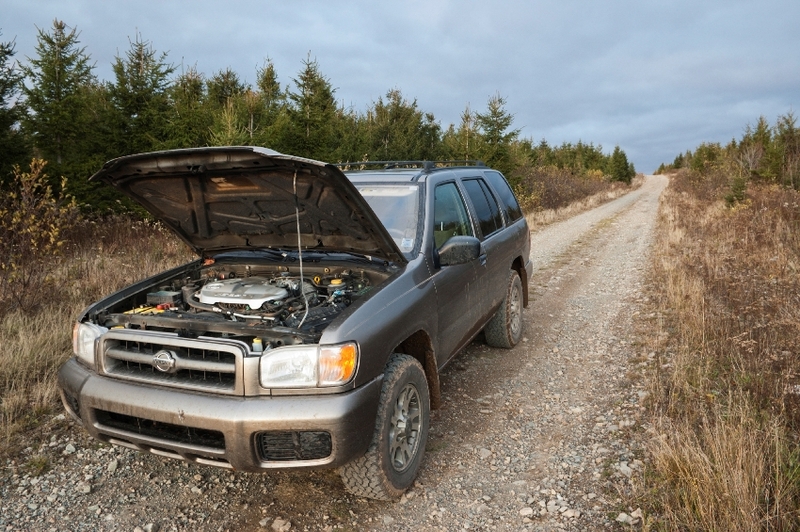 Many times the pan isn’t secured properly after a transmission fluid change, causing a transmission leak to occur. All you’ll need to do here is tighten the bolts up, which is simple. But if this issue is not addressed right away it could cause a lot of damage. Another reason why transmissions often leak is that there’s an issue with the vehicle’s torque converter. In fact, within the torque converter, there is a hydraulic pump that produces pressure in the transmission. This pressure then transmits fluid all around the system. If there is a crack in the converter’s body or a problem with the needle bearings, the transmission will leak. It’s usually hard to pinpoint a transmission leak to the torque converter and once it’s figured out, it’s very expensive to fix as it will need to be completely replaced. 1. It’s important to check your transmission fluid level at every oil change. 2. Pay close attention to your transmission fluids color. New fluid is bright red and translucent in color. If the fluid is more opaque or turning burnt brown or black, it’s time for a change. 3. A common but sometimes overlooked cause of leaking transmission fluid is the constant wear on rubber seals. Once that seal gives way in your transmission, the fluid will start leaking out. The easiest way to prevent these types of leaks from occurring is investing in No Leak® Transmission Stop Leak. With No Leak Transmission Stop Leak, the seals are conditioned properly so that leaks are stopped before they become an issue. Of course, when your transmission starts leaking, you’ll want to think of a quick way to fix a transmission leak. However – the best way to repair a transmission leak is to stop transmission leaks from happening in the first place. Hello, since we are not able to assess your car in-person, we would suggest perhaps getting a second opinion from a trusted professional mechanic. Hello, I need help with my car ? It doesn’t run because it leaks transmission oil n I think it is the transmission pan ? How could I fix that problem so it could run again? Hi Angelica, it is very difficult to assess and diagnose these type of problems without a proper inspection. However, we recommend trying NO LEAK Engine Oil Stop Leak to see if this helps. If the leak continues or gets worse, perhaps the next step is to consult a professional mechanic. I might have a bad seal or something on my transmission as the last time I looked under my car, it looked a bit where near the bottom of it. Now as you said, it would be a good idea to make sure that all of the bolts on the pan are tight as if they aren’t, then that could cause a leak. Perhaps it would be a good idea to have a shop take a look at it since they would have a better understanding of how everything works.